Naughty or nice? Unlike santa, we don’t judge! Calling all fellow creatures of the night! This is a night to celebrate the festive time the only way we know how! Covered in camp with a sprinkle of filth! Inviting back many of the brilliant & beautiful acts we’ve had on our stage throughout 2018, expect a selection box of epic proportions! 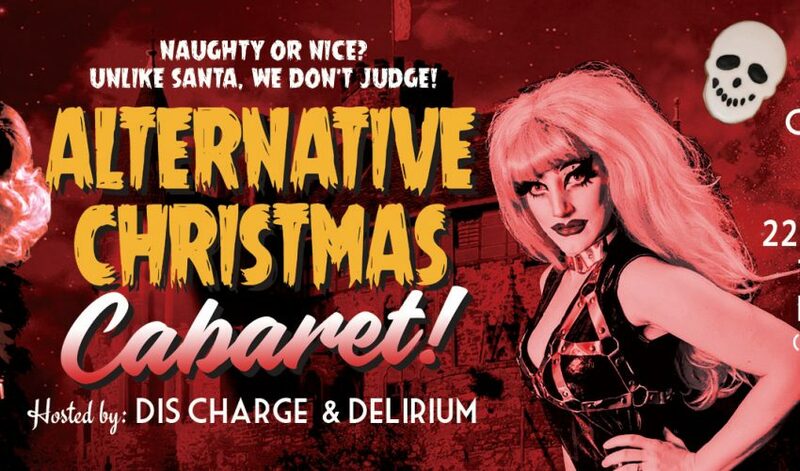 Hosted by the incomparable Dis Charge & the delightful Sid Delirium and with music until 1am, it’s better than a baileys with yer nan! FREE ENTRY but donations are positively encouraged.